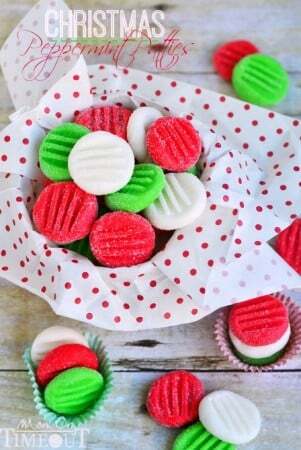 I love making snowball cookies. They are truly one of the easiest recipes out there and you can make them with virtually any flavor and a variety of add-ins. 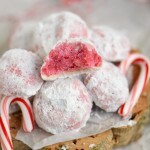 There’s a few things that I do with my snowball cookies that I think you should do too. One. I chill my dough. I know. We’re busy, we don’t have a lot of time, etc., etc. But, if you want a more rounded snowball cookie, chilling the dough definitely helps. Two. I make my cookies small. Like, pop in your mouth kind of small. Wanna know why? Envision what happens when you take a bite out of one of these delectable cookies…that’s right. Your little black dress, or, in my case, my little black PJs, are instantly covered in a fine dusting of powdered sugar. Festive? Yes. Classy? No. Keep these bad boys small and your clothes and floor will thank you. Three. I am all about a double coating of powdered sugar. Many people like to gently dust the powdered sugar on after the cookies have cooled. Mmhhmm, you people are not my people. I like to dust my cookies with powdered sugar about 5 minutes after they come out of the oven and then, once cooled, roll them around in a bowl of powdered sugar until they are liberally coated. Using a dusting wand makes a lot less mess and an more even coating. Get one. Note: do not roll the cookies until they have completely cooled. These cookies are fragile when warm and will just completely fall apart on you. I added some Andes Peppermint Baking Chips to the dough and I love the extra peppermint-y flavor they give these cookies! And that’s it! 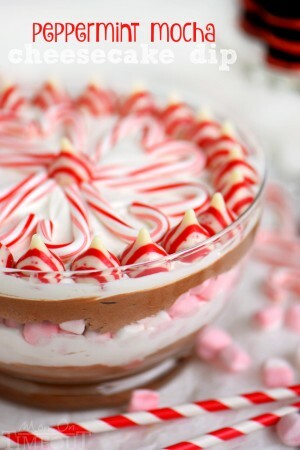 Super easy to make and totally pretty! 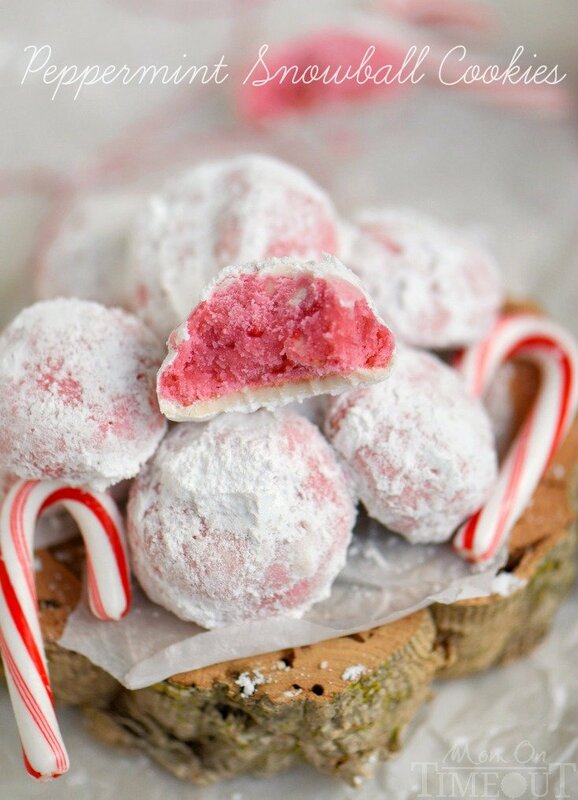 If you didn't already love snowball cookies, you will now! 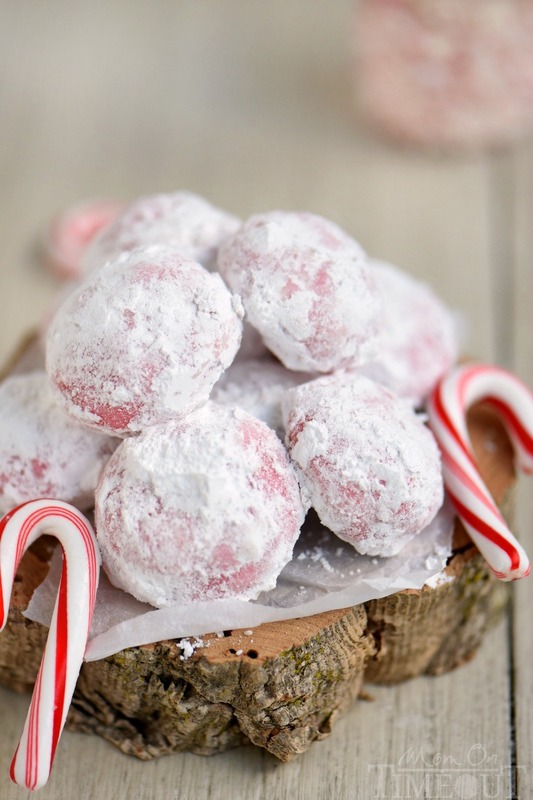 These Peppermint Snowball Cookies are everything a Christmas cookie should be! Easy, beautiful, and packed with flavor! 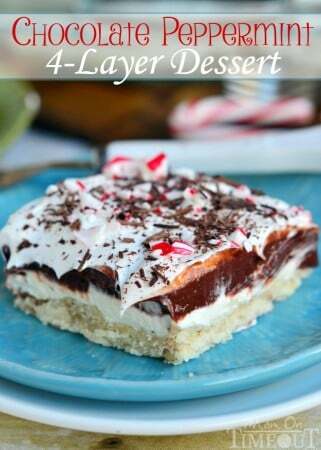 Mix in flour, salt, and extract just until combined. Add food color a few drops at a time until desired color is achieved. 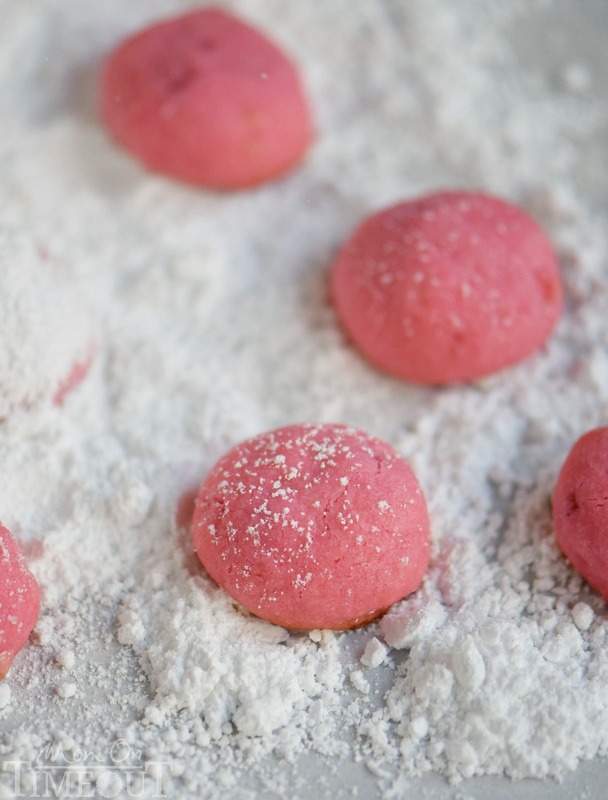 Scoop out one tablespoon of dough at a time and form into a ball. Place on prepared sheet. Bake for 7 to 8 minutes. You do not want the cookies to get more than very lightly browned on the bottom. Let cool for 5 minutes on the baking sheet. Line another large baking sheet with parchment paper and dust liberally with powdered sugar. Place slightly cooled cookies on this baking sheet and dust with additional powdered sugar. Leftovers? Store in an airtight container for up to 4 days. 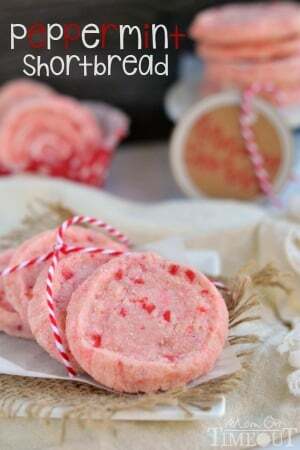 Other delightful peppermint recipes to try! I just LOVE this! We love these cookies too! Did you go with pink or red coloring? 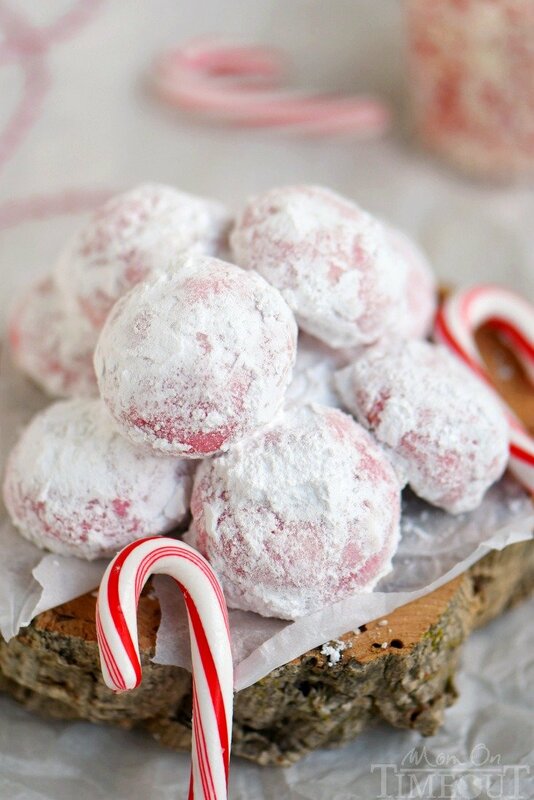 So I made the peppermint balls. Or more accurately, I TRIED to make them! They are FLAT! Almost look like the shortbread cookies. I reread the instructions and followed them to the letter. I’m so sad because they smell SO good. Can I substitute Andes peppermint crunch thins for the chips? Freeze and chop them…. 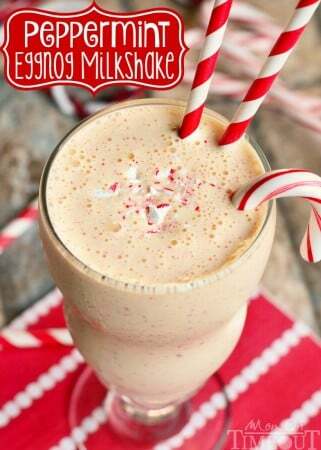 Could these be frozen to make ahead of Christmas? If not how far in advance can you make them and how do you store them ? Really?! First the pop up that won’t go away with an annoying jiggling buy now button. I get that you want people to notice but it’s a terrible UX. Then another pop up asking me to subscribe followed by another pop up for Facebook. That’s 3 in a matter of seconds. And bloggers really wonder why people use ad blockers? 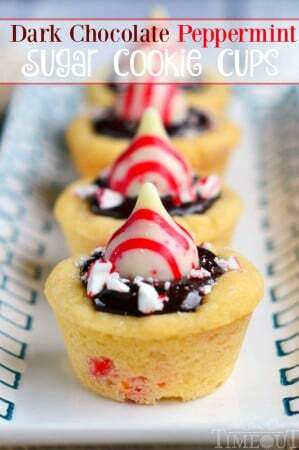 Great cookie recipe! I going to make another batch next weekend. Thanks Joan! We love them too!